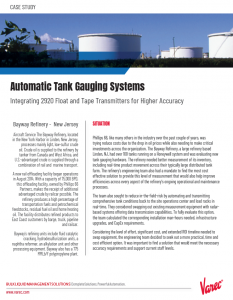 The 8300 series TankGate Interface (TGI) provides data acquisition for tank farm, pipeline or refinery applications. 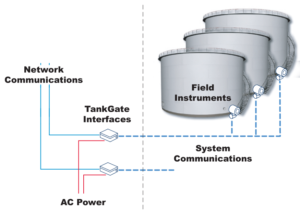 It collects and transmits data from multiple storage tanks to a central system using a single tank gauge interface. 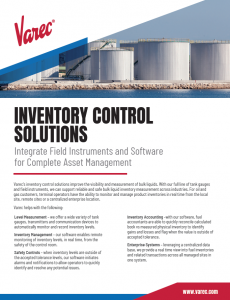 All information obtained can be used for inventory, alarm, control and automation. Through the use of a plug-in interface module, the 8300 TGI can receive various types of measured data from tank gauging instruments, such as level, temperature, density, water level or alarms. With ten modules available, it is possible to integrate float & tape transmitters, HTG, servo, magnetostrictive or radar gauges using a single device. 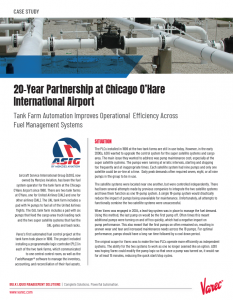 The 8300 TGI combines with FuelsManager® to provide an extremely cost efficient and reliable tank inventory system that is compatible with a variety of other host systems through the industry standard MODBUS protocol. 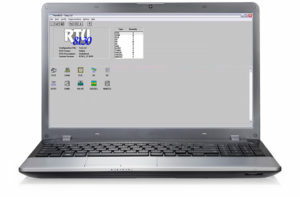 Remote programming can be accomplished from the host or locally using a PC with the Windows based configuration program, ViewRTU. This tool simplifies configuration and diagnostics, allowing uploading of final equipment configurations. Reports can also be generated via a built-in function to assist in documentation. 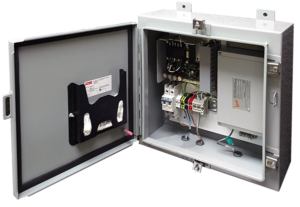 The 8300 TGI’s IP66 rated aluminum enclosure allows it to be installed in a variety of industrial environments. 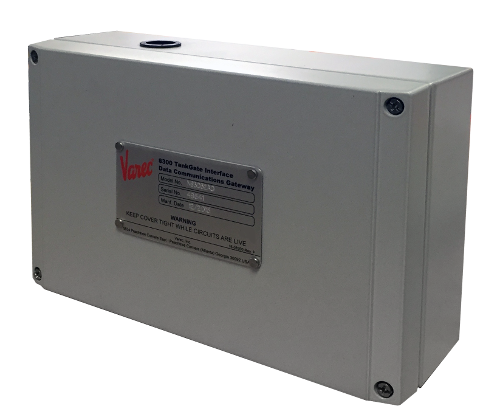 It can also be supplied with an optional NEMA 4 enclosure for additional protection. Technical specifications for the 8300 TankGate Interface. Designed to assist the user in the installation, operation, maintenance, and troubleshooting of the 8314 ENRAF Tank Gate Interface. Designed to assist the user in the installation, operation, maintenance, and troubleshooting of the 8312 ENRAF Tank Gate Interface.